Either removal or corruption of the msvcr100 DLL file causes msvcr100.dll errors. Some registry problems, malware or anti-virus issues or hardware problems might also trigger msvcr100.dll errors. This application failed to start because msvcr110.dll was not found. Re-installing the application may fix this problem. The program can’t start because msvcr110.dll is missing from your computer. The file msvcr110.dll is missing. Cannot start [APPLICATION]. A required component is missing: msvcr110.dll. Please install [APPLICATION] again. In some cases, your system might be containing some viruses that have damaged the DLL files and because of which msvcr100.dll errors show up. To make sure that there’s no corrupted file that messes up with the DLL files, run an anti-malware scan and remove any such corrupted file. Download the Visual C++ Redistributable for Visual Studio 2012 Update 4 package and run it. This will replace/restore the msvcr110.dll with the most recent copy provided by Microsoft. You’re given several download options from Microsoft for this update, based on the version of Windows you have installed—x86 (32-bit) or x64 (64-bit). Just make sure what bit is your PC running on and download the package accordingly. Re-install the program that’s producing the msvcr110.dll error. If the msvcr110.dll error occurs when you use a particular program, reinstalling that program might fix the issue. Safe Mode is an excellent troubleshooting mode for Windows. System Restore may operate in Safe Mode. 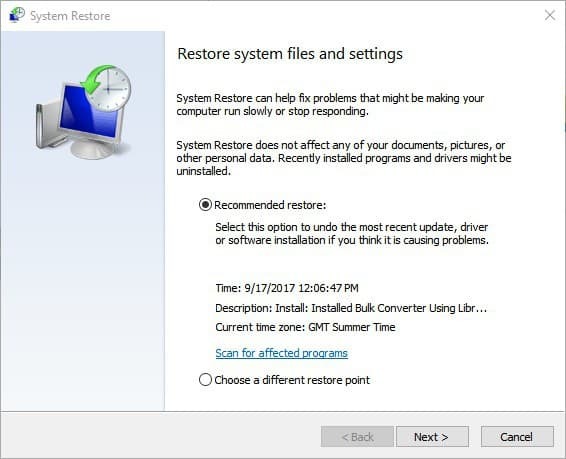 If it operates in Safe Mode, you can then likewise restore Windows to a date when System Restore was working fine. Press the Power button on the Start menu. 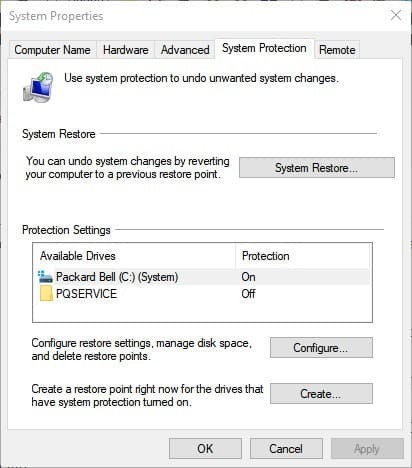 Select a listed system restore point, and press the Next and Finish. A clean install of Windows will erase everything from the hard drive and install a fresh copy of Windows. If none of the steps above corrects the msvcr110.dll error, this should be your move to fix the error.